To ensure that your program is secure, it is strongly recommended that you password protect the program. To begin, go to Miscellaneous → 3 - Password System. 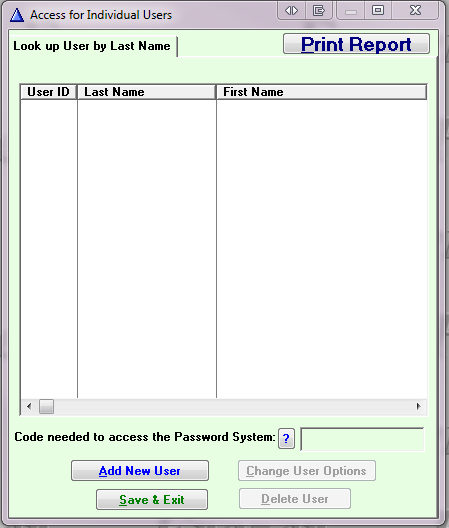 As the administrator of the password system, enter and save a Code needed to access the Password System. Click on Add New User. 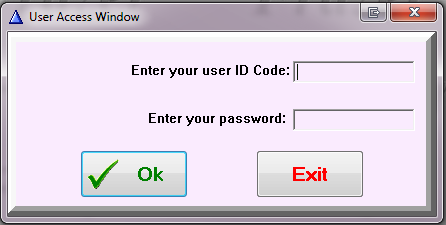 In the resulting screen, create a User ID (limited to three characters) and Password. The First and Last Name information is what will display as you log in to the program. As the system administrator, select the button to Click here to allow access to everything. If creating a user account for someone with more limited access, peruse each tab and simply select the options the user will have. Click Ok to save the user that was created. Then click Save & Exit before exiting the password system. The next time Frazer is opened, a prompt to login will appear. 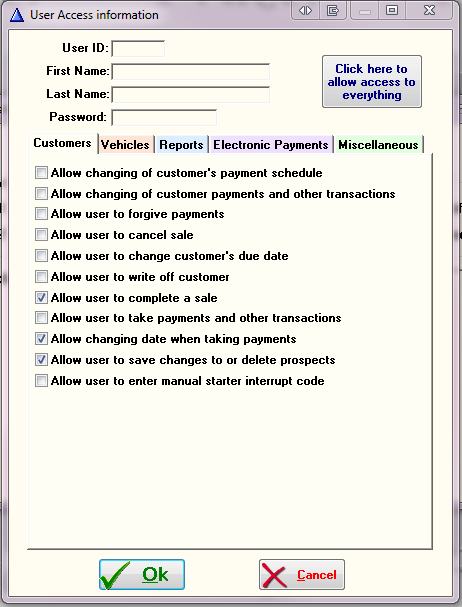 To see an Audit File of significant changes made in the system by specific users (deletions, changing payment amounts, etc.) go to Miscellaneous → 4 - Audit File Reporting. This information is also available specific customer accounts through Customer Activity → Selected Customer → M) Review Audit Trail.